The ProEngage Local SEO Advantage! At ProEngage Local we offer 3 SEO Service Packages starting at $299/mo. Our Local Advantage SEO Service Packages deliver the best value in Houston. So, whether your current website needs an SEO boost, or you’re starting from scratch. ProEngage Local is the answer! Because it takes a local SEO company to properly optimize your website. Check it out then call us for The ProEngage Local Advantage, (832) 857-0065. Basic local SEO services for your website. Scan your website for duplicate content, keywords, & errors. Check your website for proper SEO structure & meta data. Best SEO includes web re-design/content so same services are upgraded. Premium WordPress re-design or set up (call for details). Everything from our basic & best packages included. There is a reason you get so many calls about Houston SEO service packages. It is because anyone with a laptop and a cell phone can do it. They can wake up tomorrow, & decide they are a search engine optimization company. And they call, or email, claiming to be an SEO expert. Finally, to make matters worse, many of these “SEO companies” are out of the country. Obviously, this is not what is best for your business. So, how do you know who to trust? Start with the basics. First off, why would an SEO company be calling, or emailing you? Think about it… SEO is about optimizing your website for inbound marketing. So, one would think, if an SEO company was good at what they do, they would not need to cold call, right? Then, do they even have a website, & are they local? But, be careful when checking this. Because if their website is not a .com, & have https at the front of it. It could be spam, with a corrupt link. And that link could cause damage to your computer. Finally, are they members of any professional organizations like the BBB, & do they have real customer reviews? The good news is you found your way to our website. Without us calling or emailing! And we have all the things mentioned above. As well as a proven track record & extensive local marketing experience. And, no contract local advantage value pricing! Also, because our experience & knowledge comes from working with some of the largest advertising firms in the country. Finally, we have helped just about every kind of local business you can think of. So, call us and you will be able to tell right away, our SEO service company is different. The ProEngage local advantage (832) 857-0065! Professionally set-up (if needed) & optimize profile pages for Facebook, Google+, Twitter, Google My Business, YouTube, & Pinterest. Contact us for details. Depending on your website, the SEO package you select, & the number of keywords you want to target. We often recommend this add on service. Contact us for details. SEO Optimized YouTube video. Keyword optimized with Professional voice over. See examples on our YouTube Channel & contact us for more details. Most businesses want to track the effectiveness of their SEO campaign in terms of phone calls, emails, & new customers. But if you want to analyze the back-end data yourself, this add on will provide you with the information needed to do so. Contact us for details. Launching a new product or service? Or maybe need a seasonal beginning or end boost? We will put our network to work & give you a boost. Contact us for details. Open the box for the level of service you have selected, read and agree to terms of service, then click the orange button to check out. This service is limited based on geographic area and business type. We do not accept all basic SEO applications. Please contact us for before checking out. All Local Advantage SEO Packages are set up as subscriptions, & billed monthly through PayPal. The subscription payment auto bills on the same day each month. PayPal is a universally trusted 3rd party billing company that does not share any credit card, or personal information with ProEngage. So, you have complete control over your account & can end your subscription any time prior to the next automatic payment date. Basic “off-page” SEO services to increase your organic ranking. Primary services include inbound link building, flagging of errors, content check optimization, meta structure optimization, local keyword research, Google my Business set up and optimization, and directory/citation set up, premium WordPress SEO upgrade, SEO structure & internal linking, content optimization, social media integration, royalty free optimized images, content marketing (blog & video), optimized social media management, professional custom audiences with re-targeting. There is no minimum or maximum number of months for this service. Your reoccurring monthly subscription can be canceled at any time prior to the next scheduled auto payment. 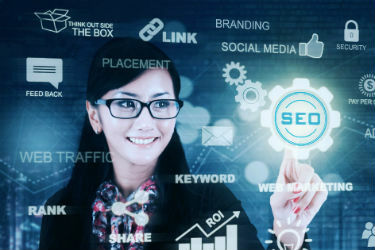 We are confident that our local advantage SEO service will deliver ongoing value to your business, and back up that confidence by not charging a set up fee, or requiring a long term contract. I have read and agree to the terms of service. Click this button to sign up for $799/mo. advanced SEO service. Basic “off-page” SEO services to increase your organic ranking. Primary services include inbound link building, flagging of errors, content check optimization, meta structure optimization, local keyword research, Google my Business set up and optimization, and directory/citation set up, premium WordPress SEO upgrade, SEO structure & internal linking, content optimization, social media integration, royalty free optimized images. I have read and agree to the terms of service. Click this button to sign up for $599/mo. local SEO website service. Basic “off-page” SEO services to increase your organic ranking. Primary services include inbound link building, flagging of errors, content check optimization, meta structure optimization, local keyword research, Google my Business set up and optimization, and directory/citation set up. I have read and agree to the terms of service. Click this button to sign up for $299/mo. basic SEO service.